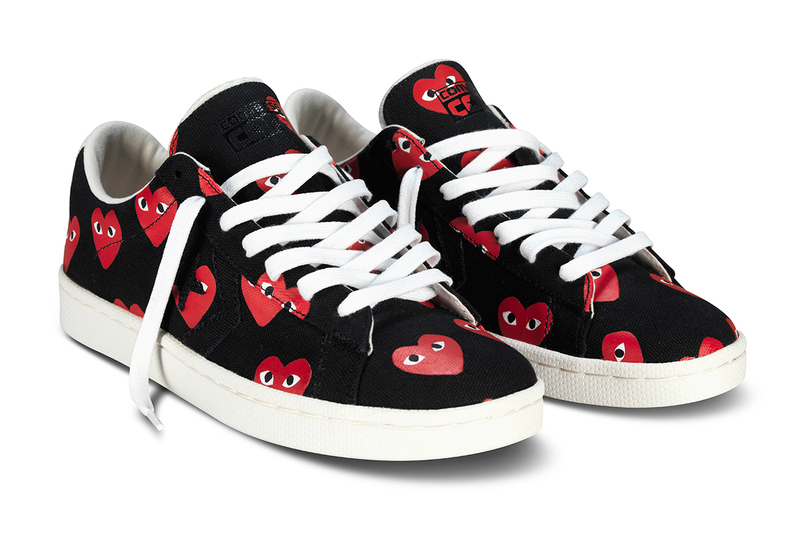 Mainstay COMME des GARÇONS aligns its PLAY imprint yet again with Converse for a series of 2013 spring/summer Pro Leather iterations. The street-influenced line from Rei Kawakubo’s COMME des GARÇONS builds upon the previous Chuck Taylor and Jack Purcell projects with yet another timeless Converse staple silhouette. 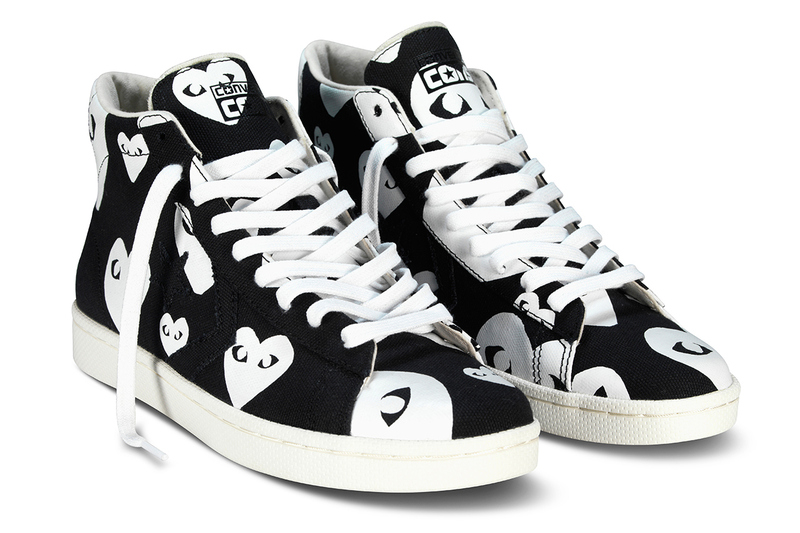 Offered up in an initial Milk and Black Mid and Ox silhouettes, the collection will feature both the high top and low top Pro Leather emblazoned with recognizable COMME des GARÇONS PLAY hearts. 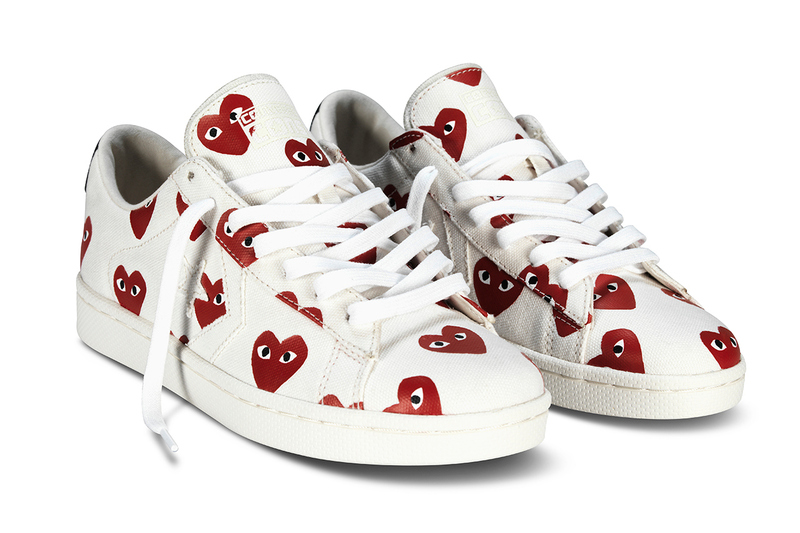 All styles will be available on Dover Street Market’s website and at the COMME des GARÇONS New York store starting May 28, in Paris and London starting June 1 and at COMME des GARÇONS stores in Tokyo and throughout Asia starting June 21 for a suggested retail price of $130 USD – $140 USD.